As the popularity of keyless systems has increased, criminals have been buying equipment online that is able to re-programme keys. “The criminal act of stealing vehicles through the re-programming of remote-entry keys is an on-going industry-wide problem,” said Jaguar Land Rover. “Our line-up continues to meet the insurance industry requirements as tested and agreed with relevant insurance bodies. A specific case reported by The Times involved insurers AIG refusing insurance cover to a motorist. In a statement the company said it treated every case individually. “We do not have a blanket policy to exclude certain vehicles from cover. “Given the increasing likelihood that replacement vehicles may be a target for thieves we may ask for additional security measures such as secure off-road parking. “Whilst BMWs and Audis appeared to be the early targets, it’s fair to say that this was largely associated with their desirability across Europe, rather than any specific security lapse. It is becoming much harder to steal cars. According to the UK Office for National Statistics, car theft has fallen from 318,000 in 2002 to 77,500 last year. But thefts involving computer equipment used to circumvent security are rising. The SMMT is pushing for stronger legislation to help reverse this. “The challenge remains that the equipment being used to steal a vehicle in this way is legitimately used by workshops to carry out routine maintenance,” a spokesman said. “As part of the need for open access to technical information to enable a flourishing after-market, this equipment is available to independent technicians. However a minority of individuals are exploiting this to obtain the equipment to access vehicles fraudulently. But Ian Crowder, from motorists’ group the AA, warned the risk should not be overstated. 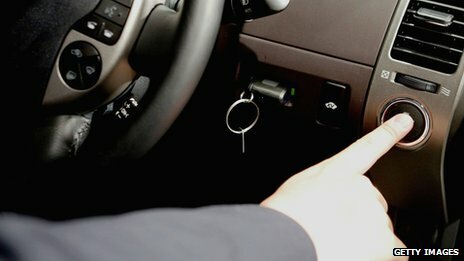 “By far the most common way of a car being stolen is still from thieves breaking into homes and stealing keys,” he said.